Tim Corrigan's NEW VOICE MEDIA Publications! The Official Mightyguy Web Comic! 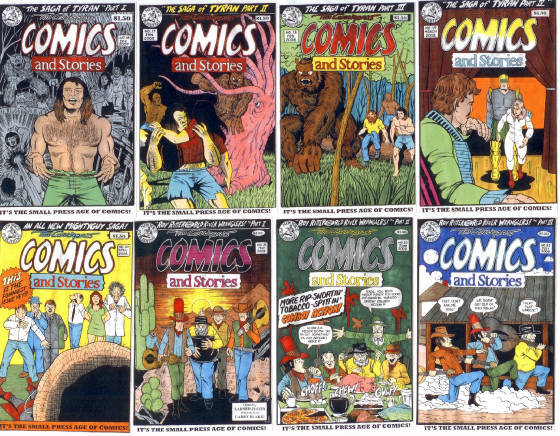 Here are the full-color covers to the first 30 issues of TIM CORRIGAN'S COMICS & STORIES! Pretty cool, eh? These masterpieces are available to you for the ridiculously low price of only $1.50 each, except for the GIANT SIZE SPECIAL #1 (32 PGS.) which is $3.50. Order a few, order 'em all - whatever floats yer' boat! And you can subscribe for $15.00 per year which will put the next 12 issues right in your mailbox! See, it just keeps getting cooler! TCC&S #1 - who'd have guessed that sitting at home with a friend, sharing a movie and a bowl of popcorn, could turn into such a ridiculous adventure! This premiere issue was printed in a limited run of 50 B&W copies, only a handful of which are left for $1.00. It was later re-issued with the color cover you see above and is available for $1.50. 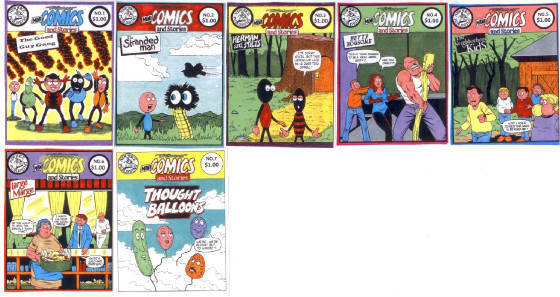 TCC&S #2,3,4 - a 3-part epic called "The Big Book Signing" in which Fred Schmurt, Marvin Ferble and Mightyguy arrange to visit Bilbo Bagpipes Big Shop'o'Comics in the hopes of connecting to their largely imaginary fan base! Who should show up to through a wrench in this master plan, but every tough guy in town! A few B&W copies are available for $1.00, but the $1.50 color cover versions are way cooler! 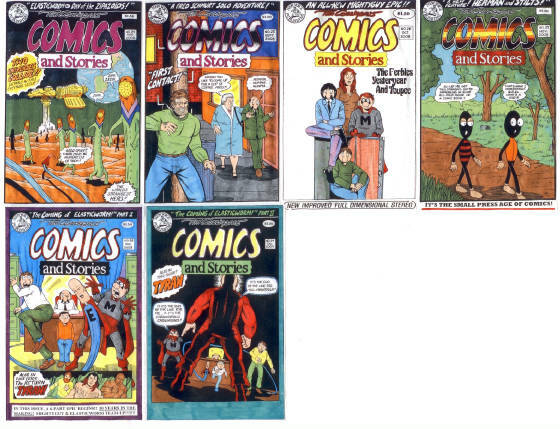 TCC&S #5,6,7,8 - a 4-part adventure called "Fathers & Sons" in which I tried to explain the influences that made our hero and his fictional publisher the bizarre characters that they are! This story line generated a lot of fan response and subscriptions - the series was a hit! B&W version - $1.00, Color cover versions $1.50 each. By this time people were beginning to recognize that Mightyguy was indeed, "The funniest comic known to man!" MIGHTYGUY has been called the funniest comic known to man! 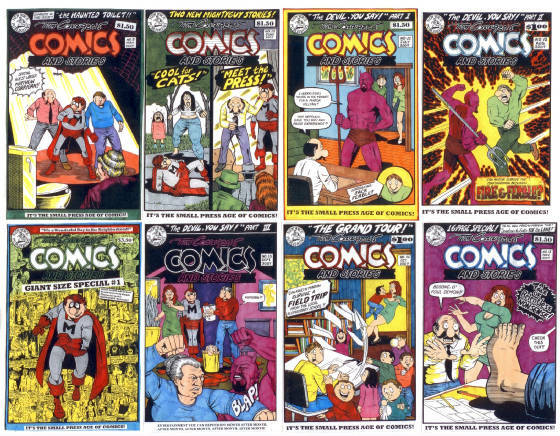 Here's a complete list of the mini-comics released so far in this series, plus a listing of those scheduled for release during 2009! You can order all the back issues (#1-9) directly from me for only $1.00 each ppd. And you can subscribe for $12.00 for the next 12 issues! I've no set schedule for TIM CORRIGAN'S MINI-COMICS & STORIES, but they usually appear monthly, or as often as I am able to get a new one out! 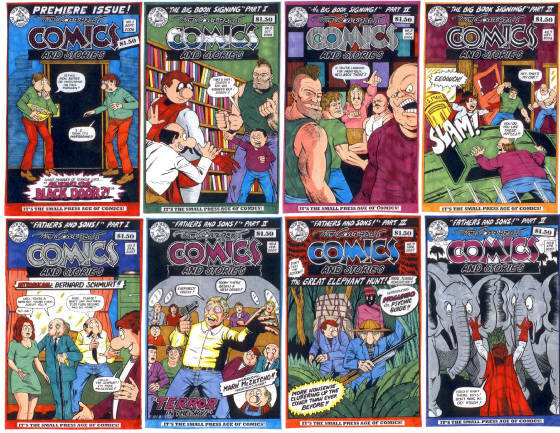 award winning small press comics since 1970!